Know that once very common, most senior discount fares are history, but there are always discounted flights through comparison sites. For special senior travel deals and excellent customer service, I like CheapoAir. Request seat assignment in the rows designated for disabled travelers. And, importantly, request cost-free wheelchair service at every airport origination, connection and arrival location. If there is meal service aboard, advise the reservation system of any dietary needs. If traveling alone, ensure your parent will have human assistance from the counter, through security, to the gate and then to aboard the aircraft. If staffed by an airline employee, there is no cost for wheelchair or assistance. If staffed by Red Cap-type personnel, you or your parent will be expected to tip for that assist. If you are traveling together, you can offer to handle the wheelchair. If you don’t make and confirm all of these requests at the time of reservation, the airline, train or bus line has no obligation to make them available on check-in or while en route. 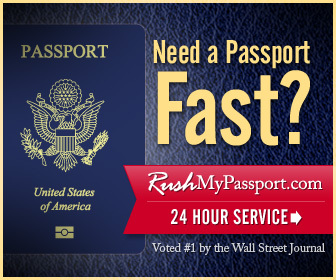 A government passport is accepted as the highest level of identification by federal TSA security officers. If you or your parent do not already have a passport, consider applying for such months prior to your travel. Your local post office will have the application forms; or you can go online to access the information and forms. Official photographs are available at AAA offices and at many large drug and department stores. Personal photos are not acceptable. Two copies of the photograph must be sent with your application. Request copies of prescriptions and/or statements of medical conditions from each physician and medical treatment center. Make at least four photocopy sets of the passport, driver’s license, Medicare and insurance cards, travel tickets and itinerary, boarding pass (if secured in advance online), plus any physician prescriptions and/or statements. 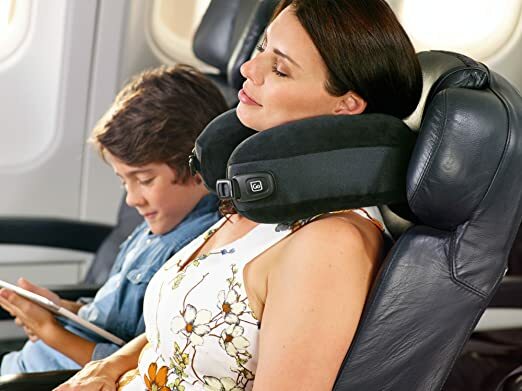 One complete set is placed in your parent’s hand-carry bag, another in his or her roll-aboard luggage. One set is forwarded to family at the arrival destination, and one is left at home. Provide a prepaid cell phone, and program in your telephone number as the first emergency number. 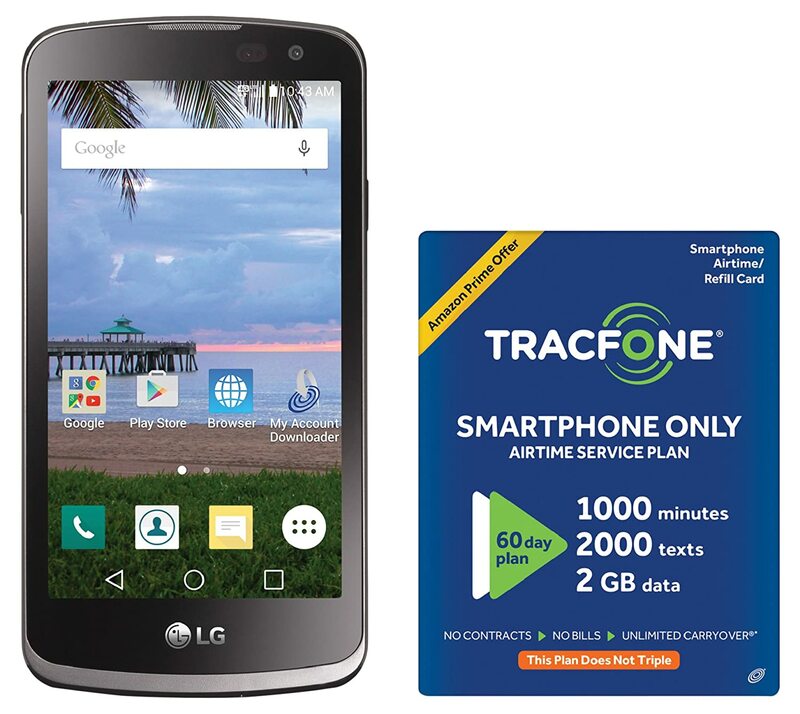 Example: this inexpensive TRACFONE comes with a free $40 airtime bundle. Pack light. For a person traveling with at least some limitation, aim to pack everything necessary in a roll-aboard suitcase plus a medium-size over-the-shoulder carry-on. Do not check the roll-aboard as luggage, as in-cabin flight staff will gladly stash it in the overhead rack. Such will save a lot of time at the final destination airport. 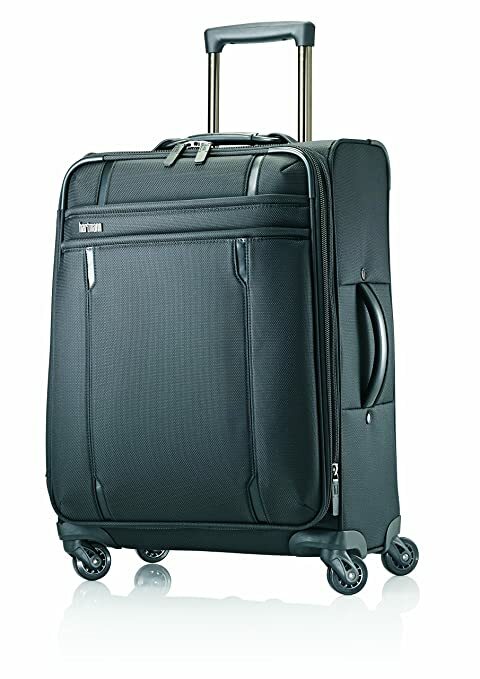 (Image: the Hartmann Lineaire Carry On Spinner). 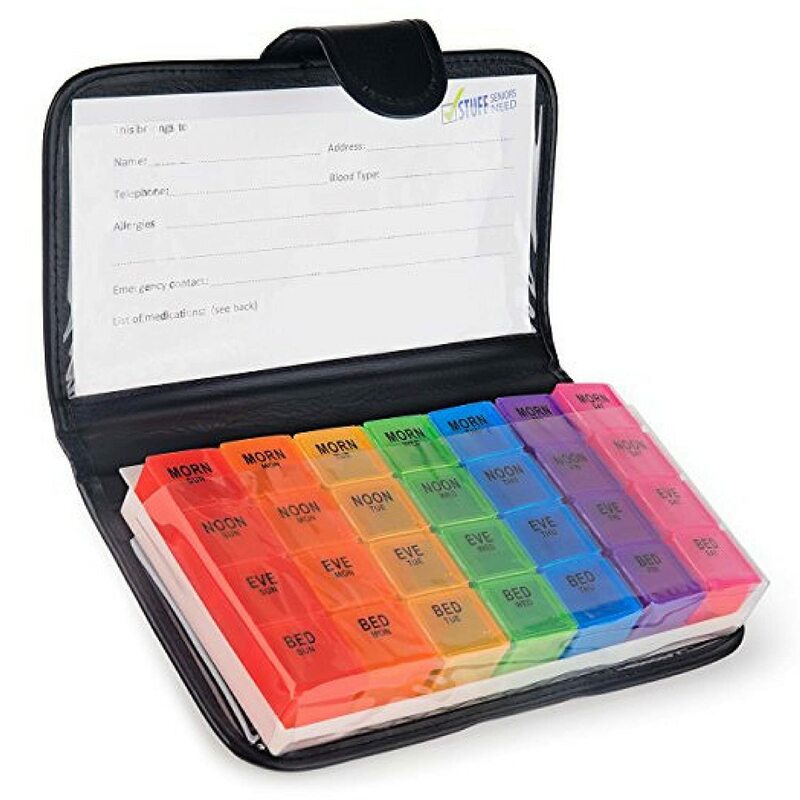 Bring copies of any prescriptions and/or physician statements in the hand-carry bag. If Mom or Dad is toting gifts to relatives, do not wrap them. Place the items in the roll-aboard luggage. For advice on finding the right travel bags for seniors, see How the Find the Best Luggage for Seniors. 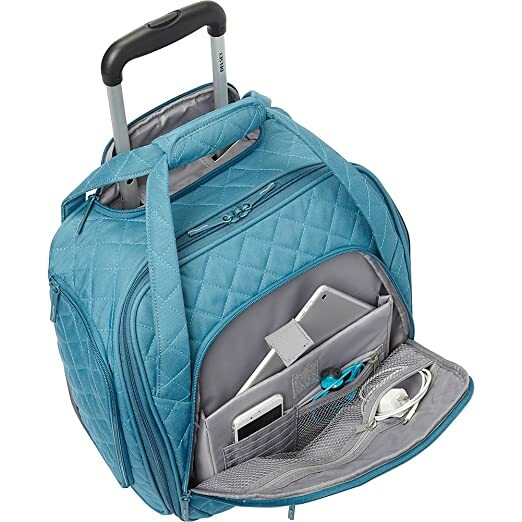 Example: This Delsey Quilted Rolling Under Seat Tote is a convenient and high quality carry-on bag that rolls! There are thieves everywhere, particularly, in high-traffic travel centers. Don’t give the scalawags any opportunity to steal from your parent. 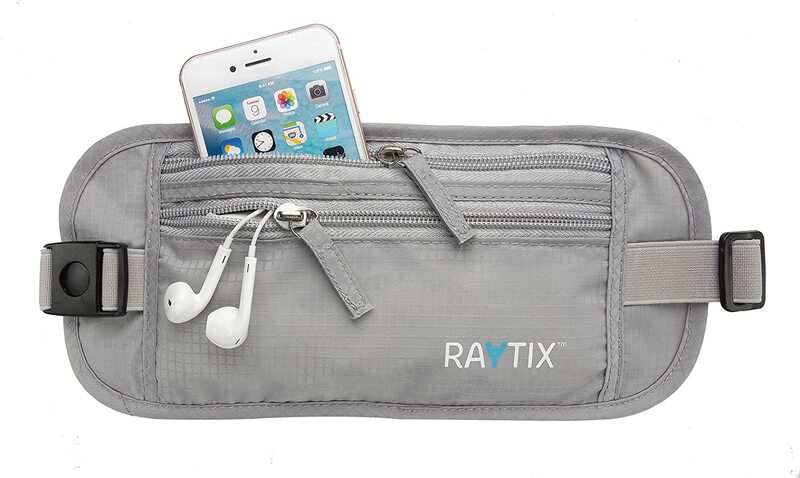 Mom should not carry a purse but, instead a money belt worn under a blouse or a neat Passage Wallet hidden under her coat by a neck cord. 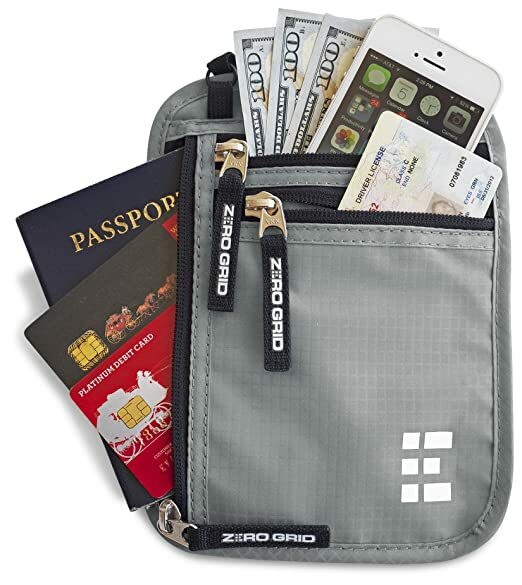 Dad should not carry a wallet in his back pocket but, instead, carry a travel passport wallet with a neck cord or as a hidden wallet tucked into his pants and secured by a cord to his belt. Most mature adults take five or more medications once or even several times a day. The transportation staff has no obligation regarding the medical dosing of your parent. But you can ask in advance that at a specified time (stated in local time), the staff remind Mom or Dad to take the medication. The alternative is to provide your parent with an alarm watch, or have a daily alarm set on their cell phone. 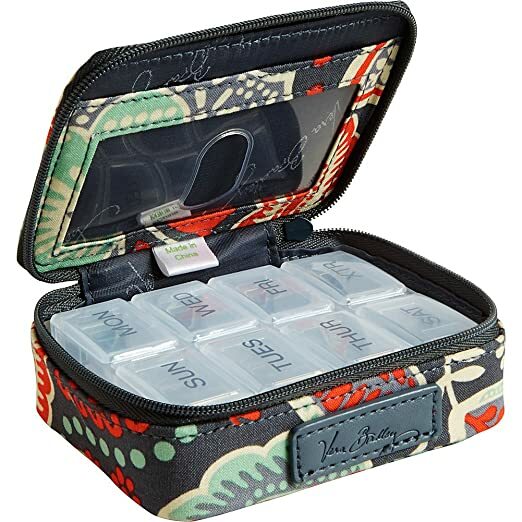 A travel pill organizer can make traveling with medication easier, as well. 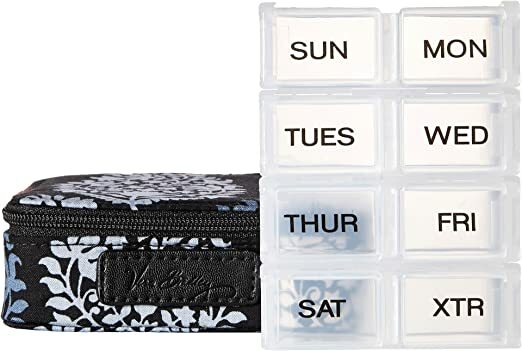 Example: This Extra Large 7-Day Weekly Pill Organizer with XL Case has compartments for morning noon, evening and bedtime. If Mom or Dad is in a wheelchair at transportation centers, access to and through TSA (transportation security administration) security may actually be quicker than through the long line of other travelers. Brief your parent (or state to the TSA, if you are traveling together) about any medical condition that would set off alarms, such as surgical hip and knee implants. To avoid unwanted delays, get a physician’s statement about the implanted steel and make sure the senior has that documentation with them. Oftentimes, personnel will ask the elder to step aside and perform a wand screening, rather than passing through the sensors. If your parent is in a wheelchair, security will use a wand while he or she is seated. Dress your parent in easily-removed (but safe) walking shoes. Security will probably want them removed. Present, if pertinent, any physician statement regarding your Mom or Dad’s medical condition or limitation. Before traveling, explain to Mom or Dad that the security process is vital to her or his safety. 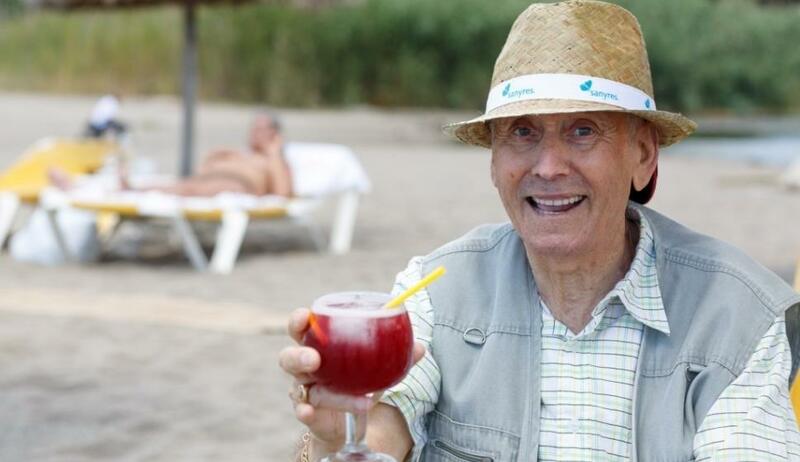 The world of travel is open to just about everyone, even those elderly parents receiving care. Start a discussion with Mom or Dad to learn her or his travel wishes. Determine if your parent can travel solo, or if you want or need to share in the adventure. If you start with the mission of fulfilling a parent’s dream, you can’t go wrong. There are thousands of tour and cruise possibilities. Tours and cruises offer a unique service, in that they are totally planned, operated and staffed to deliver the promised program and destination discovery. Several tours operators, including Accessible Journeys and Flying Wheels, specialize in “accessible lifestyle vacations,” which cater to those with special needs and disabilities. Cruise and tour accommodations are priced on a per-person basis based on double-occupancy. Therefore, if choosing a tour or cruise, travel with your Mom or Dad to provide caregiving assistance while in the room and during non-programmed times. A cruise or tour may be the ultimate escape and very civilized adventure. If your parent is flying solo to visit other family, schedule a telephone conference with your relatives to go over the caregiving support your elder needs. Advise of your approach in assisting Mom or Dad, so that they do not assume to take the domineering and dictating role. Advise of your parent’s favorite foods and activities so that they can try to be accommodating during the visit, making it all the more “like home” for Mom or Dad. And, importantly, advise of the medical and medication regimen that must be followed. Also make sure that they have all important legal documents with them should an emergency arise (for example, if you are listed as their agent for the Advance Directive, be certain this information is with them should something happen). On the day of travel, arrive at the airport or other transportation two hours early, to visit with your parent without pressure, share a meal or snack, review the travel plan and itinerary and, importantly, to use the wheelchair-capable restroom shortly before heading to the gate. The latter should reduce the need for your parent to access the small restroom during travel. Travel with Mom or Dad. You may find it to be one of the best experiences of your life. Yes, you continue to be a caregiver, but your travel and destination will probably prove to be an escape, a freedom because of the new setting, environment and opportunity. Are you planning to travel with an elderly companion? 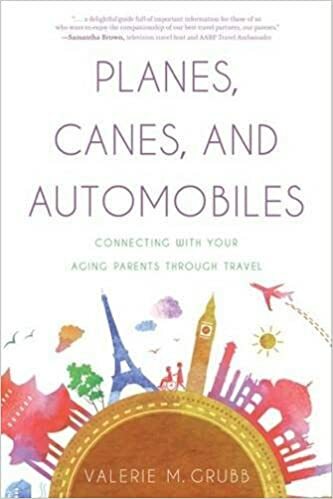 This super-practical book is the go-to guide for adult children: it combines the author’s wisdom from years of traveling with her own aging mother with sensible tips, checklists, and sample itineraries to help readers plan and enjoy a vacation with their parents! It’s an enjoyable, informative read, and it will make traveling more comfortable and fun for both generations. Minimize Your Seniors Risk of Falling Now!